"An indulgence is a remission before God of the temporal punishment due to sins whose guilt has already been forgiven, which the faithful Christian who is duly disposed gains under ﻿﻿certain prescribed conditions through the action of the Church which, as the minister of redemption, dispenses and applies with authority the treasury of the satisfactions of Christ and the saints. An indulgence is partial or plenary according as it removes either part or all of the temporal punishment due to sin. Indulgences may be applied to the living or the dead" (CCC, 1471). 4) Renew on the day of a plenary indulgence your ﻿﻿﻿﻿﻿﻿﻿act of consecration﻿﻿. You must be free from all attachment to sin, even venial sin, otherwise you will obtain only a partial indulgence. "I will never abandon you, my child. 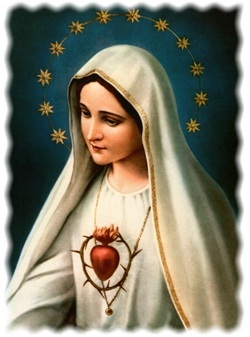 My Immaculate Heart will be your refuge and the way that will lead you to God."